Gyro Muggins digs deep into his amazing library of classic Science Fiction and emerges with more jewels to share. Caledonia Skytower reads the second adventure for Robert Beatty’s young heroine, Serafina, published in July 2016. Introduced in Serafina and the Black Cloak, the titular heroine had, up until the events of that story, lived a secret life in the basement bowels of the manor house on Biltmore Estate. However, she was forced to reveal herself to the estate owner’s young nephew in order that together, they might discover why the children on the estate were mysteriously vanishing. Now, just a few weeks after those events, Serafina and her new friends must confront a new danger, one worse than the Black Cloak. 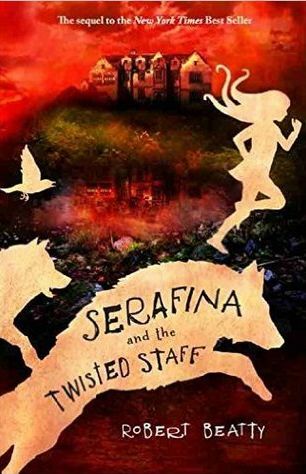 Intended for younger readers, the Serafina books have a richness of prose and an approach to storytelling guaranteed to keep readers – and listeners – of all ages enthralled. Join Caledonia to find out more! 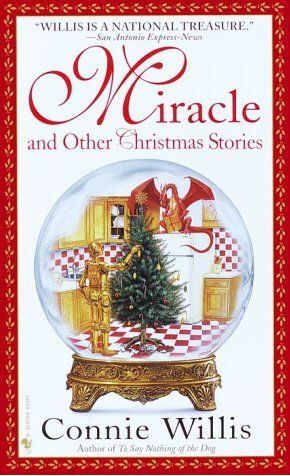 Trolley Trollop offers a selection of readings from this collection of eight seasonal tales first published in 2000 by winner of multiple Hugo and Nebula Awards, Connie Willis. The tales capture the timeless essence of generosity and goodwill of Christmas, reimagining classic tales for the time of the year, such as the journey of the three wise men, the tale of Mary and Joseph as they seek lodgings, and more. Each has something of a sci-fi element to it, but each story is much more than that: there’s a holiday themed mystery; a revisiting of the classic Christmas story as noted above; there’s even a tale which allows Willis to show why she thinks Miracle on 34th Street is a superior film to It’s a Wonderful Life. And while they may all be unique, they all offer a celebration of the power of love and compassion. Shandon Loring presents Julie Lane.s classic story for Christmas. Nicholas the orphan becomes Nicholas the wood-carver, whose job is to create a gift for every child in his small village on the Baltic Sea. As he grows older, explanations for many beloved Christmas traditions are woven into the story as the true spirit of Christmas is revealed. The 2016 Edition of Seanchai Library’s annual celebration of English literary giant Charles Dickens, The Dickens Project, will open in Second Life on Saturday, December 10th with over 20 hours of live events of all kinds, spanning eight days, to benefit Team Diabetes in Second Life. This year’s Project is sponsored by Kultivate Magazine and will take place on Kultivate’s headquarters region, Water Haven. I’ll have a special preview of the event, including a chat with the project’s Director, Caledonia Skytower, ahead of the opening. “The warehouse at the back is fun,” Cube Republic told me, when passing me the landmark to La Digue du Braek last week – and it is. Sitting at the “back” of the region (in terms of how you reach it if you follow the road), it’s a veritable curiosity shop, stacked with bric-a-brac and topped by a chandeliered club house. La Digue du Braek is the work of Serene Footman, responsible for the stark beauty of Furillen (which you can read about here and here), and his SL partner, Jade Koltai. Like that design, it is based on a physical world location, in this case the 7 kilometre long headland sitting between the English Channel and the working port area of the Dunkerque grand littoral intercommunity in Hauts-de-France. It is on the seaward side this headland, known for the long road running along it, that visitors arrive in the region. The air is heavy with haze, and a short walk up and over the dunes is required to find the road. This brings into view the Canal de Bourbourg, which runs between the headland and the busy port, the shadowy bulk of which can be seen through the haze. The road itself sits at the foot of the dunes, running east from the maw of a tunnel before turning south to enter the port via a metal bridge. A ruined house and ageing pillbox, reminders of Dunkerque’s physical history, watch over the road. Like the sky under which it sits, the port is grey and tired looking, colours muted by years of work, the drabness seems only relieved by the bright colours of the containers stacked in their three wall-like rows. Ships are berthed alongside the wharf, their tired engines belching oily smoke up through their funnels to add to the haze of the sky. Tall cranes stand against the skyline like giant one-legged stick figures with oddly disproportionate arms, while the rounded bulk of oil storage tanks squat around their feet. This is a busy place – but it is also one with certain incongruities which offer interest spiked with a little intrigue. It may be a working port, but the local power substation appears to be in a state of disrepair and no longer connected to the main power grid. Further along the wharf, near the bulk of the warehouse, sit the wrecks of crashed trucks and vans, their broken and damaged remains apparently ignored; then there is the curiosity shop of the warehouse itself, complete with television eyes watching all who come and go. But perhaps the most unusual part of the region lies close to port entrance. It is a great iron frame which rises into the sky to rival the tallest of the cranes. Metal stairways connect its multiple levels, within each of which sits at least one old mobile home or prefab. It forms a vertical trailer park, a place anyone who has read Ernest Cline’s Ready Player One will doubtless recognise. La Digue du Braek is another atmospheric build; one rooted in the physical world but with interesting twists of the unexpected. It stands both on its own and as a companion to Furillen, and I’ve little doubt those who have enjoyed the latter will enjoy a visit here – and if you’ve not visited either La Digue du Braek or Furillen, now is the time to drop into both!